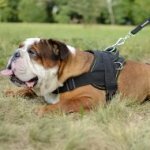 English Bulldog dog collar is one of the most important attributes in everyday life of your pet. 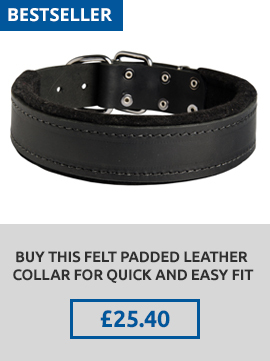 You need to take into account many things when buy a collar and the material is the main one. 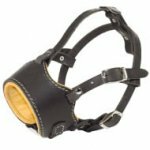 High-quality collars are made of leather and nylon. Which one to get for your Bulldog? Let's find out. 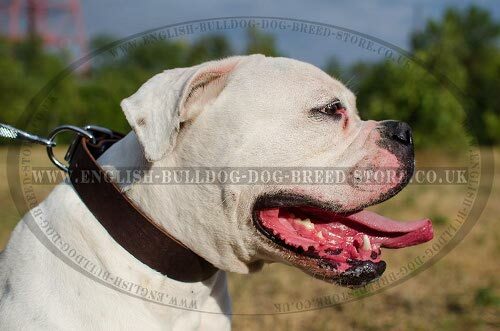 English Bulldog leather collar is an excellent variant for the dog. It is made of full grain natural leather, which contains no harmful impurities. 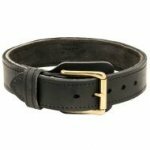 Leather strap is manually selected and well-processed. It is durable, tearproof, but flexible and soft. Genuine leather has no unpleasant smell and is perfect for Bulldogs with sensitive or allergic skin. It doesn't cause any discomfort, rubbing or cutting into the dog's neck because the edges are polished and waxed. 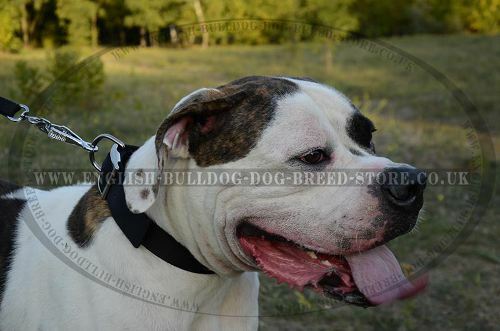 The collar is used for Bulldog walking and training. It is recommended to oil the collar with special softcare leather balsam to save its new look, to prolong service life and to protect from wet and water. As you now, leather collars may become rough after contact with water. If your Bulldog got rained on with leather collar, let dry the accessory naturally and then apply the balm to it. Please, don't dry the collar on a heater, otherwise you will spoil it! 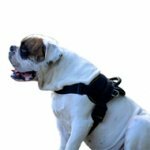 English Bulldog nylon collar is the ideal walking and training tool for any weather. 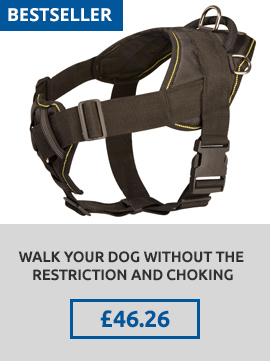 Nylon is wet and water-proof fabric and it is allowed for the dog even to swim with the collar on! It is a great outfit if your Bulldog loves swimming and rushes to water every time when sees it. Nylon collar is hygienic and easy to wash and clean. It won't lose original look, shape, color and size after washing or cleaning. The material dries quickly because it is breathable. 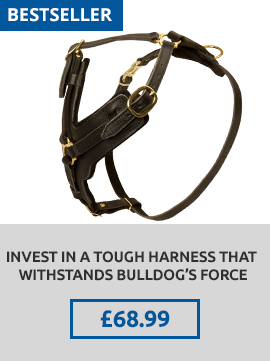 This feature is also great for Bulldog comfort and safety. 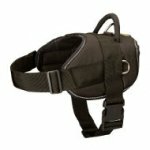 The collar of top-quality nylon is absolutely safe for dog health. 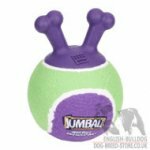 It won't irritate or harm the dog's skin, but will resist heavy loads and won't tear. 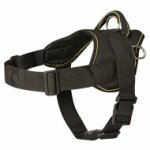 Nylon collar is light-weighted and comfy in spite of its high durability. The collar is very practical and suitable even for puppies. 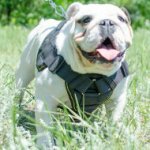 Bulldog nylon collar is an indispensible item for dogs and their owners with active lifestyle, which spend a lot of time outside. As you see, both materials of the collars are dog-friendly, strong and hard-wearing. It depends on your needs and taste which one to choose.